Question 1.By deleting Message history will delete the message on the recipients Direct Message inbox in turn. But this method only works on computer but not on your iPhone. The deleted DM messages will be back if I logged in through PC. Answer:Almost everyone meets this problem because it is how twitter works. You can log in your twitter to delete DM by using computer. But this doesn’t work on your iPhone, every time you delete DR on iPhone Twitter app inbox, they just was removed to somewhere else and they still exist on your phone. Answer:Launch Twitter on iPhone first. 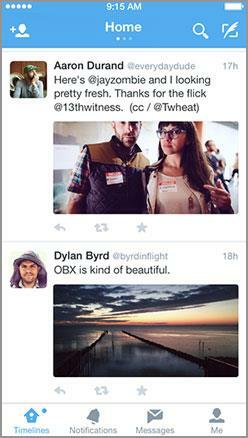 Find the Menu and then tap Profile Find in order to check the Tweets you would like to delete. Tap the trash can icon on the bottom which will lead you a message with the cancel option, just tap “Delete Tweet” and all your problems are solved. Question 3.How cloud I delete my Twitter account by using the Twitter iPhone App? Answer:The most important thing you need to finger out is that Twitter doesn’t allow people to delete their Twitter account from iPhone completely. You just allow removing and deleting the account from your iPhone via your computer. Please visit Twitter Support Center if you want to deactivate your Twitter account. And the following steps also help you to delete an iPhone Twitter account. Step 1. Tap “Settings” to find Twitter, tap it first and then tap your Twitter account. Step 2. Tap “Delete Account” which you can find at the bottom, there will be a dialog shows up to ask you to confirm the deletion which you can do this by clicking “Delete Account”. People are able to view all their Facebook messages inbox on your iPhone but not be allowed to delete them from Facebook system permanently. But if you want to do that, you may need your computer to help you. The following steps will tell you how to handle this. Step 3. Press the message icon for a while to get the pop-up information, then you can tap “Delete” option to clean all these chosen messages. To delete single messages or complete conversations or even the whole chat history on your iPhone is not a very difficult thing to do. Step 1. Turn the “WhatsApp” on iPhone on and be sure there is Wi-Fi connection available. Then you can tap into the conversation include messages you want to delete. Step 2. Click “Edit” option on the top of the screen as well as those messages need to delete. When phone says all these messages are checked, just click the trash bin which is at the bottom part. Note:You might be removed from the group if you use this method to delete the group chats. Of course, you don’t want to see this happen. You should follow the next steps to clear all chat history in order to avoid such tragedy. Step 2. 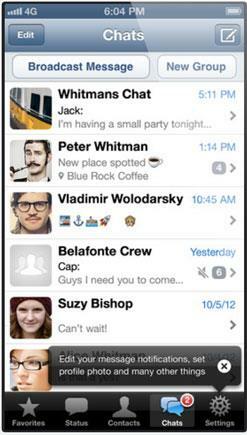 Tap “Clear All Conversations”. If you accidentally delete conversations or text that you don’t want to delete on your iPhone, it will be great for you to know how to recover conversations and text from iPhone. My suggestion is to use the data recovery software to help you. LikeDr.Fone for iOSwill be the best choice for you. You can recover deleted Twitter, Facebook, WhatApps whole chat history and conversation. 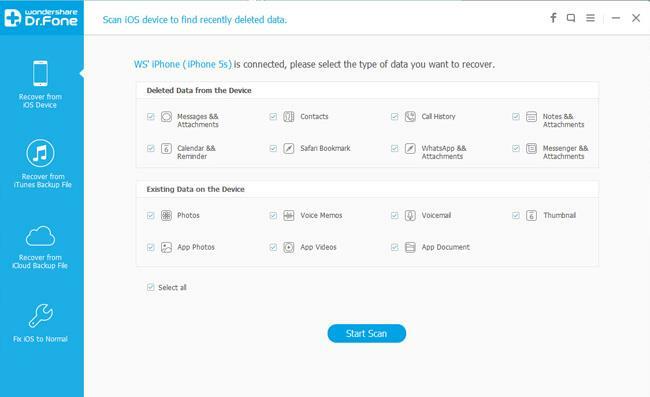 The next part of this article is about how to use Dr.Fone for iOS to recover your deleted iPhone data. First you need to download this software and install it on your computer. After you launching it, you can see the primary window of the software. Note:The interface will be different for iPhone 4 and iPhone 5S/5C/5/4S. But it won’t affect you to handle this software. If you were iPhone 5S/5C/5/4S, you can just click the Start Scan button which is on the interface. The software will take some time to detect your device. But when you use iPhone 4 and iPhone 3GS, please follow the following steps to enable iPhone scanning mode. 3. You should keep holding the Home button for another 15 seconds after you releasing tap the Power button. You must keep doing that until you enter the scan mode. Note:Dr.Fone for iOS let you recover lost Twitter, Facebook, WhatsApp chat history by using “Recover from iTunes Backup File” or “Recover from iCloud Backup File”, but you can only use this method when you had synced iPhone to iCloud or iTunes before you delete it. When the scan is finished, you can check all the data in the scan result. Find WhatsApp on the left side of the interface, all WhatsApp relate data are be able to preview which include chat contents, phone numbers, names and attachments. Then you can mark those data you would like to recover by ticking off the litter box in front of them. After that, you just need to click Recover and wait all these data back to your computer. Question:It is very important for me to find a way to permanently delete my chat history and other data on Facebook, Twitter, WhatsApp on my iPhone. Because there are some conversations in my iPhone that I would rather no one else can read them in the world. Answer:People always have something that they wish no one else knows. But to permanently delete data is not an easy task; there are many data recovery software in the market that can recover deleted data. 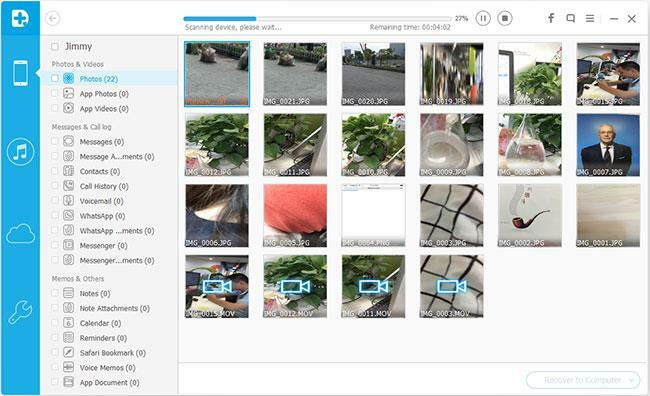 If you want to make these data gone forever, you should try the iMyfone Umate Pro. 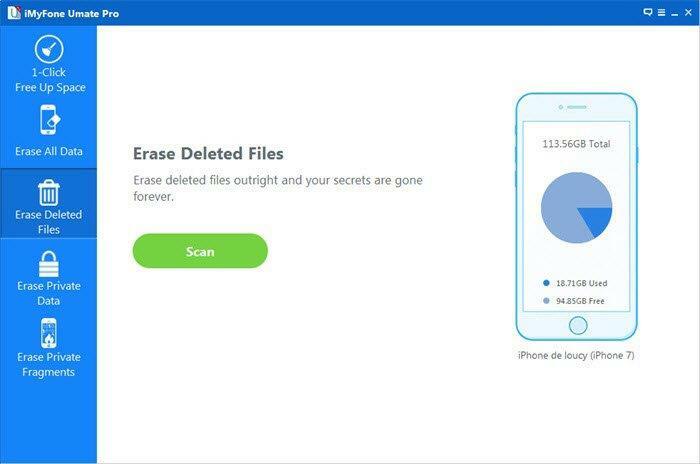 This software will guarantee its users that once the data been deleted by it, there will be no way to recover them. So, let learn how to use this software by reading the following steps.